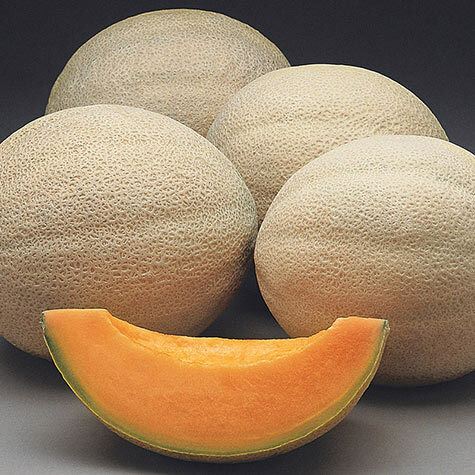 Athena Hybrid Cantaloupe | Gurney's Seed & Nursery Co.
A Favorite Across the U.S.! Highest-quality cantaloupe with 5 to 6 pound fruits have outstanding flavor and aroma. Firm, salmon-colored flesh holds well after harvest. Vigorous, high-yielding plants. You won't be disappointed! 75 DAYS. Yield: Approximately 100 fruits per 100 foot row; 5 - 7 fruits per vine. Fruit: Firm, salmon-colored flesh holds well after harvest. 7 x 6.5 inch fruit. 5 to 6 lbs. Comments: Athena Hybrid is an early maturing Eastern melon in a class of it's own. 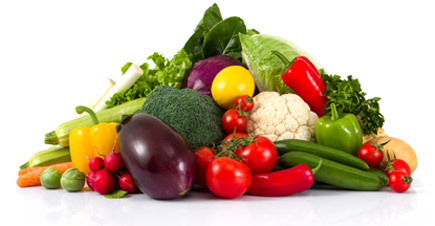 Athena has consistently delivered at the top for fresh color, flavor, aroma, firmness, and shelf life after harvest. Pick at full slip for best quality. Superior flavor with outstanding eating quality. Firm flesh holds well. Vigorous plant and hearty producer. Best seller in the USA with gardeners and growers. Fruit averages 5 - 6 lbs. with coarse netting and thick salmon colored flesh.